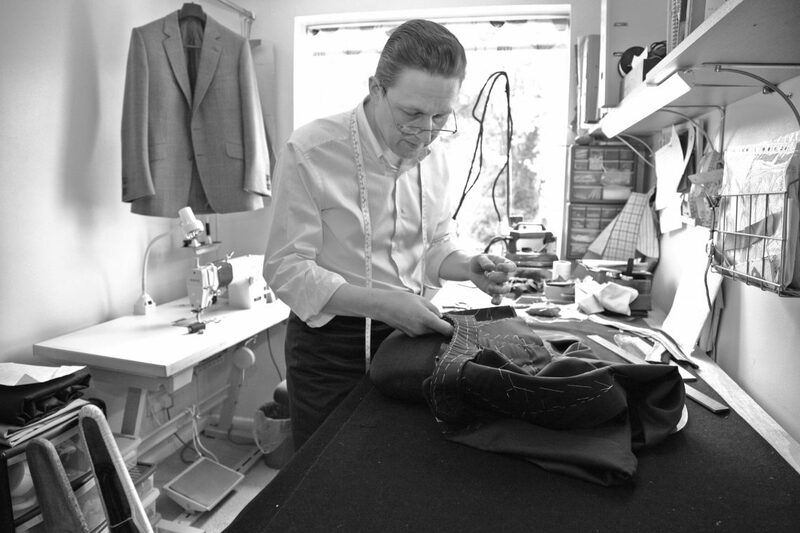 The bespoke tailoring process always starts with a conversation. This is where I guide your ideas and help you make decisions about cloth and style. We decide upon the cut that best compliments your figure and consider the environment to which the garments are to be worn. 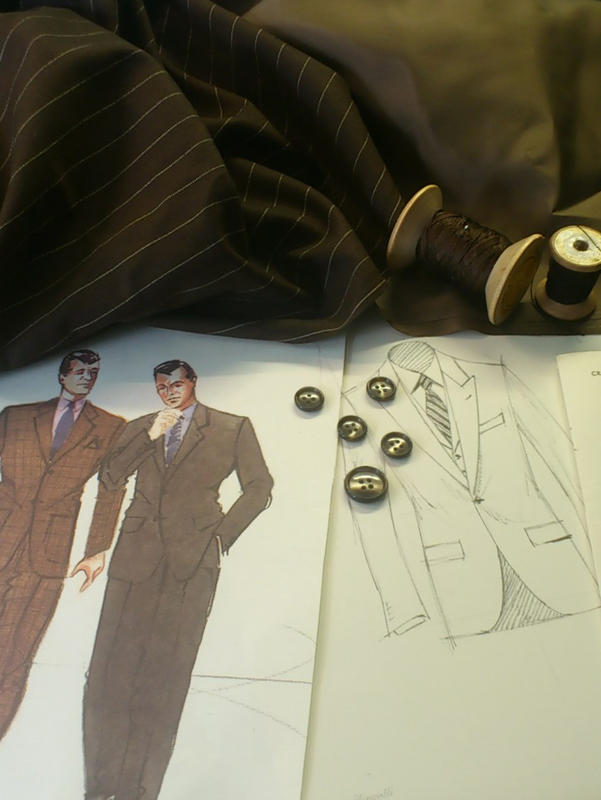 With your measurements taken and your stance and figurations assessed, I then set about drafting a set of master patterns. Your cloth is hand cut from the master patterns and along with a pad stitched forepart canvas is made up into a forward baste fitting. I call this the “tailor's fitting” because, for the first time, I'm getting to see how the garment and your figure will pair together. 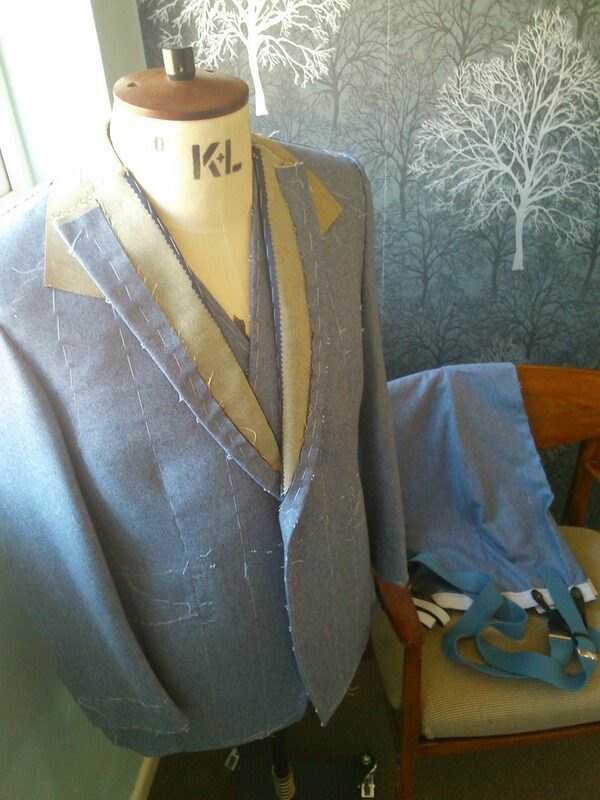 For a customers first garment I may require a number of fittings at this stage before I progress to the next. The garment is then ripped down and shaped and any adjustments made here are added to the master patterns to help progress any future orders. 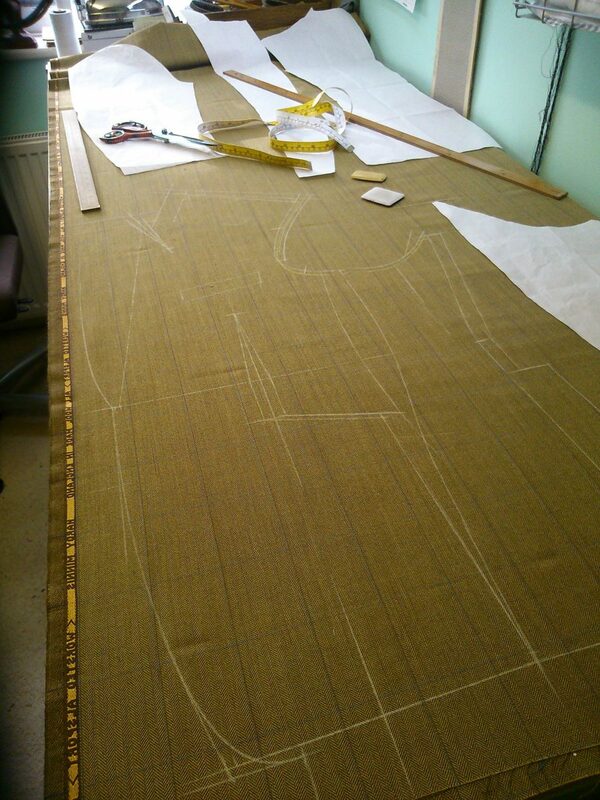 As a garment is brought up to the second fitting stage it is nearing its completion. With this fitting you can now start to see and feel how the clothing will eventually drape and fit your body. My concern at this stage are issues such as setting the sleeve and trouser lengths, making sure the collar sits close to the neck and attending any other issues that'll help meet your expectations. 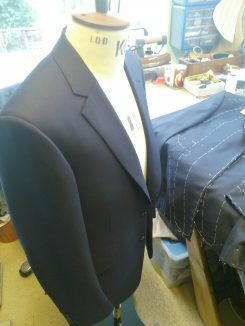 Having attended to any adjustments on the garment, it is now taken up to completion including all the chosen finishing stitches and hand bound button holes. My pressing is carried out using the traditional damp rag and dry iron method which allows me to bring out the true shape of the garment. All that's left now is for you to enjoy wearing your garments feeling confident and elegant. a loose temporary sewing stitch to hold layers of fabric together during construction of a garment.